The notebooks in Acer's Aspire E1-series have a reputation as inexpensive business notebooks. 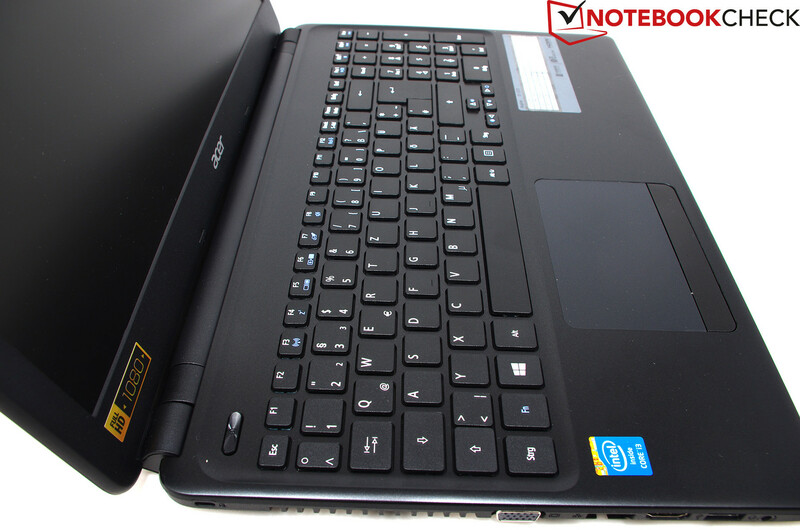 The direct predecessor of our review model is the Acer Aspire E1-571G, which came equipped with an Intel Ivy Bridge processor. 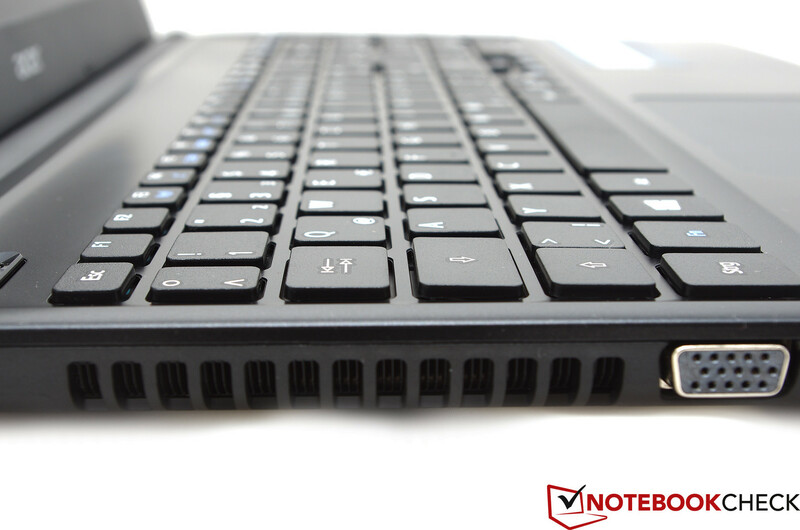 The Aspire E1-572G, on the other hand, is an updated model and ships with a Haswell CPU. The missing "G" in the name of our review model indicates the lack of a dedicated GPU. 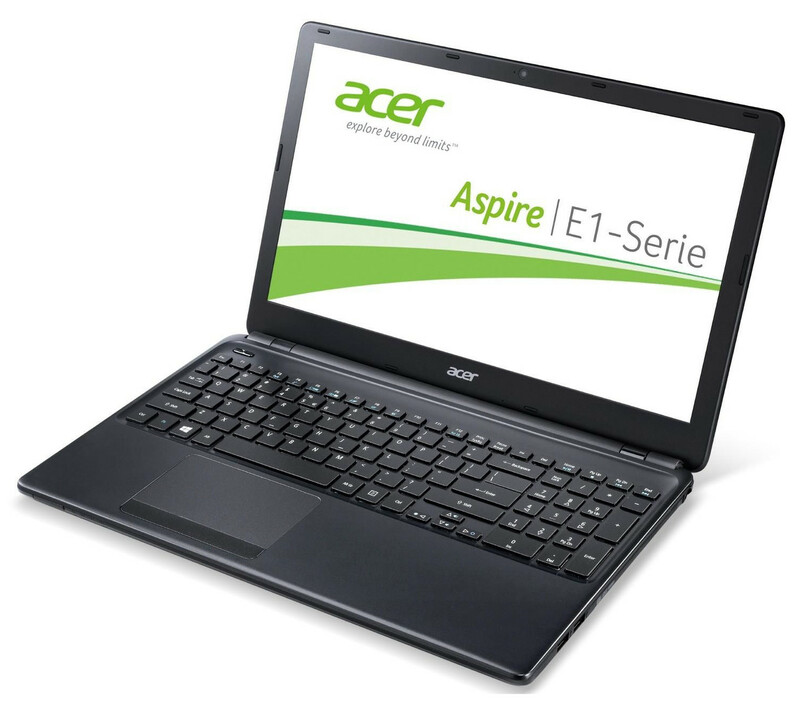 While the E1-572G ships with a AMD Radeon HD 8750M, the Aspire E1-572 utilizes the integrated Intel HD Graphics 4400. The integrated graphics card supports DirectX and allows for occasional gaming. 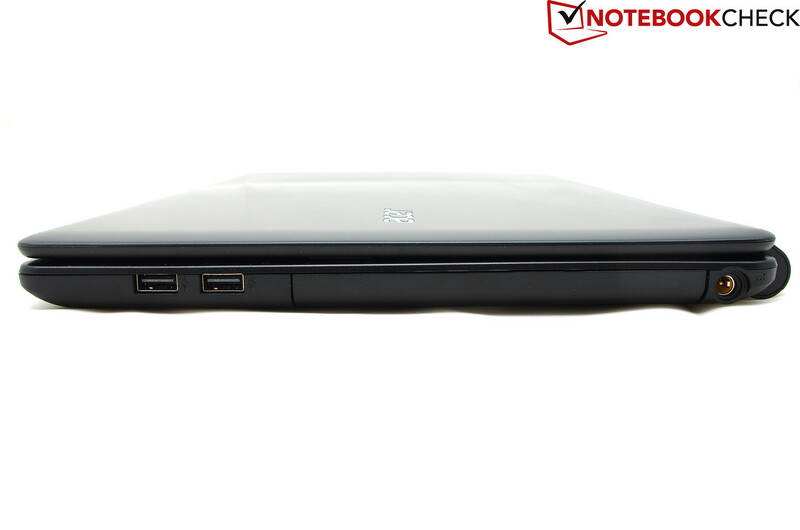 The E1-572 comes equipped with a current-generation Haswell Intel Core i3-4010U CPU. This ULV model consumes very little power and should therefore allow long battery life. Since the chassis, ports, and input devices are identical to the "G" model, we'll start our review by taking a detailed look at the display. The display is one of the most noteworthy differences between the Acer Aspire E1-572 and the previously reviewed E1-572G. Instead of a glossy display, Acer now uses a matte Full-HD TN panel with LED backlight from AU-Optronics (B156HTN03.1). We measured 198 cd/m², which makes this display a little bit brighter then the one installed in Acer Aspire E1-572G (184 nits). The contrast ratio is underwhelming. The more powerful E1-572G had a contrast ratio of 415:1, which is also not outstanding, but better than the E1-572's 344:1. 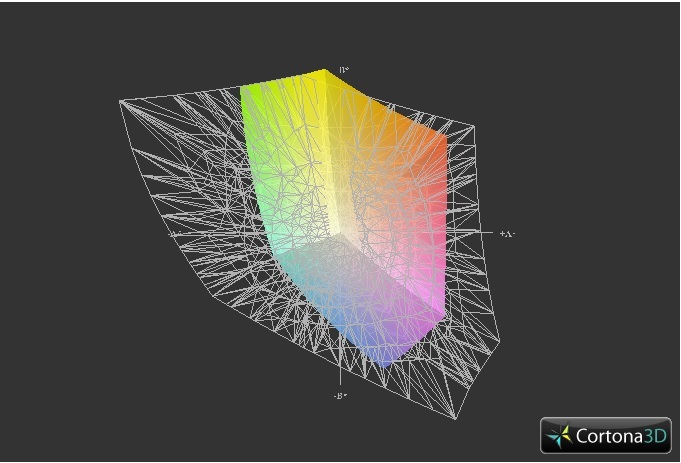 The black value of 0.54 cd/m² is consequently also not impressive and blacks quickly degrade to grays. 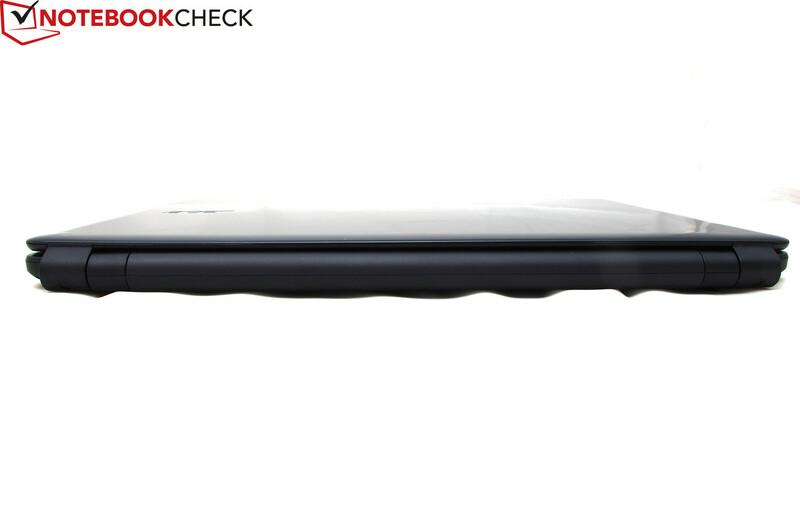 The competing HP Pavilion Sleekbook 15-b004sg fares even worse with 0.72 cd/m² and 268:1. In addition to the distinctly grayish appearance of blacks, the display also suffers from a bluish cast. Especially white areas and cooler colors hint at the color temperature of about 7300K (ideal: 6500K). The display is capable of reproducing 73.5 % of the sRGB and 50.4 % of the Adobe RGB color space - not overly impressive, but in line with the price of the notebook. For a TN LED panel, the calculated values are acceptable, albeit not sufficient for professional graphics duties. Since the notebook is equipped with a matte Full-HD panel, working outside is not much of an issue. Because of the fairly low overall brightness, it's hard to decipher the screen content under direct sunlight. When the sun is hitting the display at an angle or in the shade, the Acer Aspire E1-572 remains perfectly usable. Viewing angle stability is similar to the glare-type Acer Aspire E1-572G and in line with what we would expect from a low-cost business notebook. 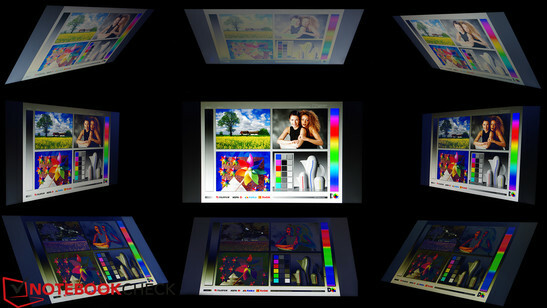 In the horizontal plane, the screen content remains readable without major restrictions, but in the vertical, a deviation from the ideal right angle causes significant changes: when the screen is tilted towards the user, the screen gets considerably brighter and colors wash out; when the screen is tilted backwards, colors darken significantly and pictures are not recognizable any longer. The Acer Aspire E1-572 is a business notebook and predominantly designed for office duties like word processing and Internet browsing. 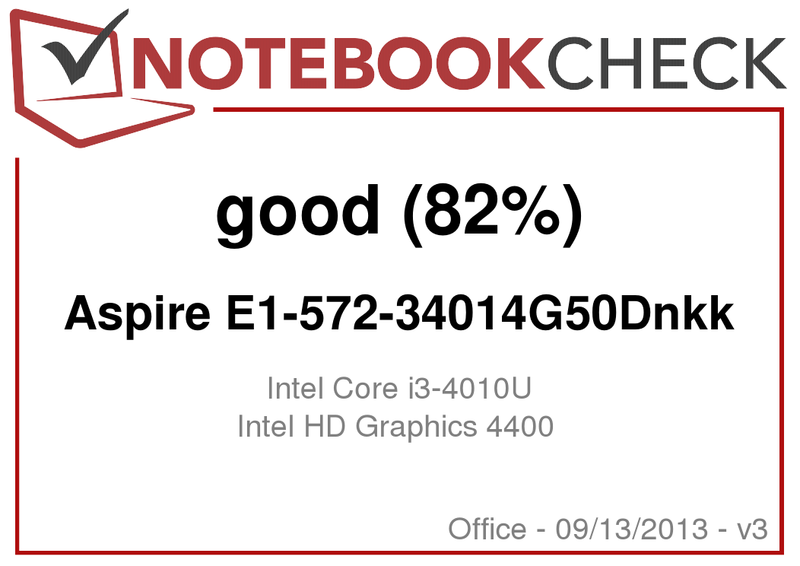 The notebook lacks the dedicated GPU found in the more powerful Aspire E1-572G and also has to make due with a slower CPU. The Intel Core i3-4010U is a ULV processor and know for its low power requirements. The CPU also houses an integrated Intel HD Graphics 4400, which should enable the user to play older and less demanding games - at least at lower settings. In addition, the CPU/GPU combo works extremely well for Full-HD video playback. The most powerful model of the series is the Acer Aspire E1-572G-74508G50Mnkk, which comes equipped with an Intel Core i7-4500U, an AMD Radeon HD 8750M, and 8 Gigabyte RAM. 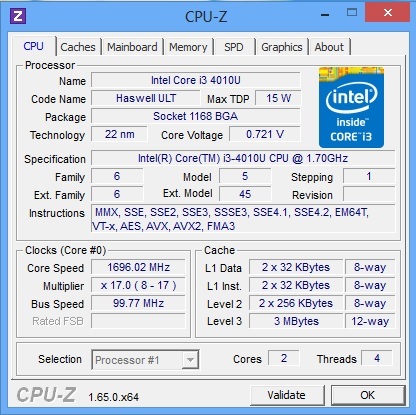 The Intel Core i3-4010U is a dual-core processor with a clock speed of 1.7 GHz based on Intel's Haswell architecture. 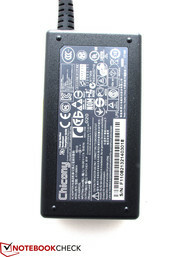 The CPU has very low power requirements and was specifically designed for business notebooks and Ultrabooks. 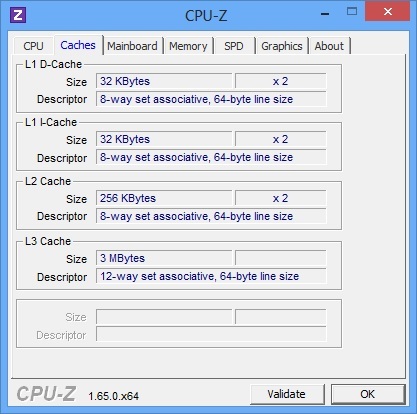 Because of simultaneous multithreading (SMT), the processor can address two logical cores in addition to the physical ones and thus is able to handle four threads at the same time. 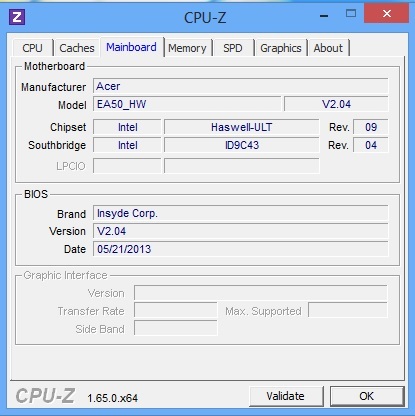 The Intel Core i3-4010U does not feature Turbo Boost and cannot overclock as a result. The Intel Core i3-4010U reached a score of 0.76 points when performing the Cinebench R11.5 Single benchmark test - about the same as the Intel Core i3-3217U, which features a slightly higher clock speed of 1.8 GHz. The Intel Core i5-3317U - used for example in the Acer Aspire M5-581TG-53314G52Mass - managed 0.83 points and is thus about 9 % faster. Multi-threading performance is hampered by the lack of a Turbo mode. The Intel Core i3-4010U in our review model performs about 4 - 6 % faster than the Core i3-3217U used in comparable notebooks like the Asus A56CB-XX053H (Cinebench Multi: 1.80 points). 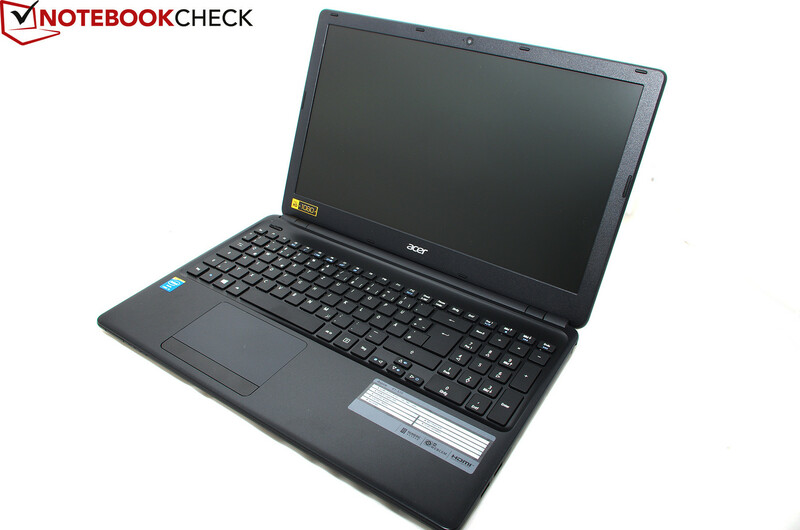 Compared to the more powerful sibling Acer Aspire E1-572G with the Intel Core i5-4200U, the E1-572 lags far behind and only scores 1.86 points compared to 2.51 points. System performance is an important criteria for a business notebook, as good response times go a long way towards increasing productivity and reducing frustration. The score of 2.385 points is about what one would expect from an inexpensive business notebook. 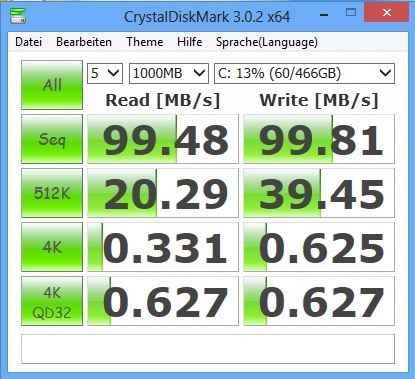 Overall performance is adequate, although a fast SSD would improve responsiveness considerably. During our time with the notebook, the E1-572 was speedy enough and didn't suffer from any annoying lags performing daily tasks. Acer uses a conventional hard drive from Seagate. The Momentus Thin ST500LZ012 has a capacity of 500 Gigabyte, a rotational speed of 5400 RPM, and is addressed via a SATA II port. HD Tune recorded a maximum transfer rate of 120 MB/s and an average transfer rate of 94 MB/s. Both rates are quite decent for a platter-based 5400 RPM drive. 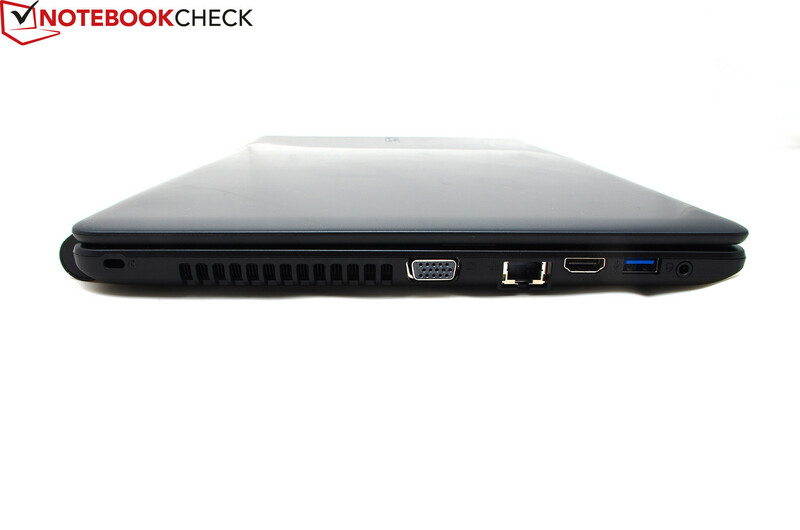 As indicated by the model name, our review notebook only comes with the integrated graphics card. All E1-572 models with a dedicated GPU have the letter "G" appended to their name. The previously reviewed Acer Aspire E1-572G is equipped with an AMD Radeon HD 8750M, the Aspire E1-572 has to rely on the integrated Intel HD Graphics 4400, which is part of the Haswell ULV series and supports DirectX 11. 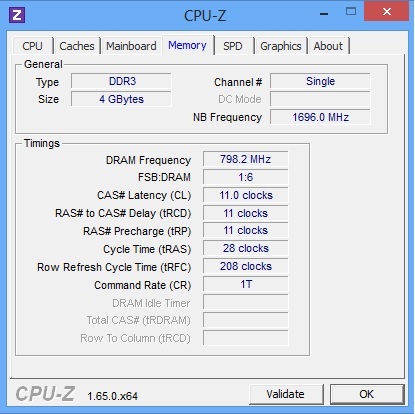 Depending on the CPU in question, the graphics card features different clock speeds. 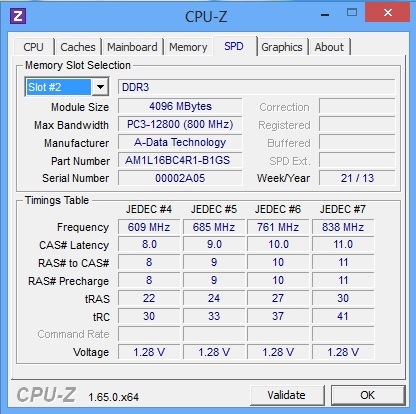 In case of the Intel Core i3-4010U, the GPU reaches a maximum speed of 1000 MHz, the memory 800 MHz. 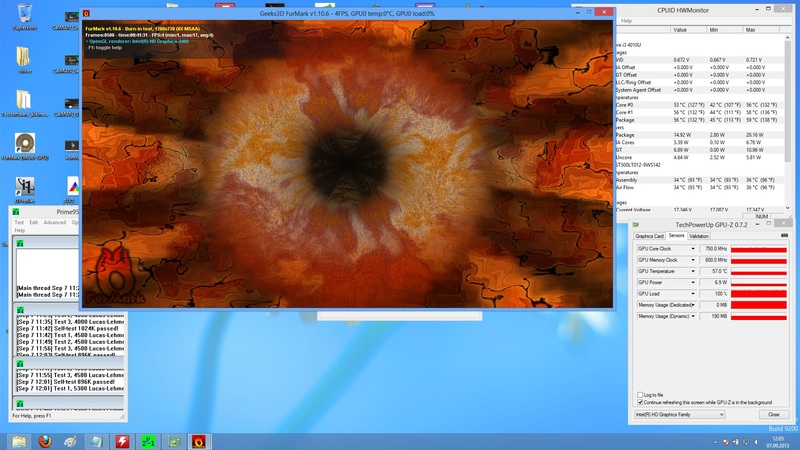 Compared to the Intel HD Graphics 4600, performance is significantly lower. According to our comprehensive comparison, the new integrated GPU is capable of decent overall performance. There is no question that the E1-572 was not designed for gaming. Rather, the notebook is a business machine for office-type tasks. The Intel HD Graphics 4400 does allow the user to play the occasional game, as long as the settings are kept on low. 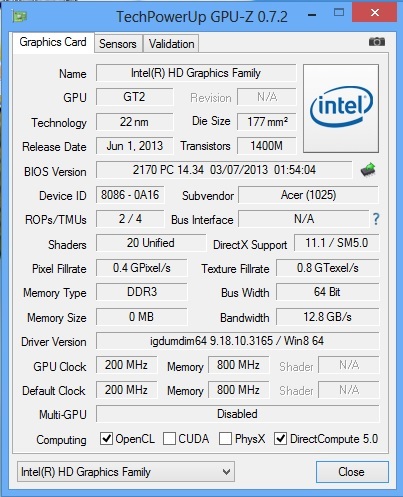 The CPU and GPU combo managed a frame rate of 26 fps when we p;ayed Bioshock Infinite with the settings on low. Generally, this means that the game runs smoothly, although some demanding scenes cause slight stuttering. When we ran the internal benchmark of the new Tomb Raider, the Acer Aspire E1-572 churned out a smooth 37 fps on the lowest settings. Of course, the frame rate can drop during actual game play when facing several opponents at the same time or during intense action sequences. During idle, the fan of the Acer Aspire E1-572 remains off and only the hard drive is audible. 30 db(A) is really low and an excellent value for such a slim chassis. The Acer Aspire E1-572G is a bit noisier with 31.3 db(A) to 33.6 db(A) because of the dedicated graphics card. 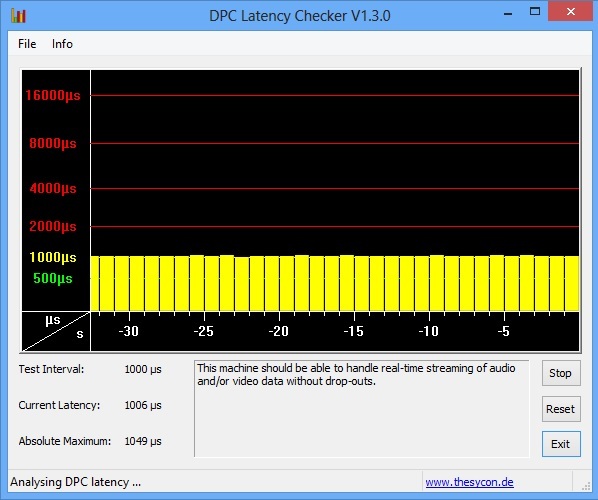 The load values are also outstanding: during our simulated gaming test with 3D Mark 06, the E1-572 reached only 31.3 db(A). Even during the stress test, the review model topped out at an excellent 32.6 db(A) - a lot less noisy than the Acer Aspire E1-572G at 39.8db(A). Quite frequently, the graphics card is the main culprit as far as heat development is concerned. Systems with dedicated GPUs just run hotter than business notebooks with an integrated graphics card. 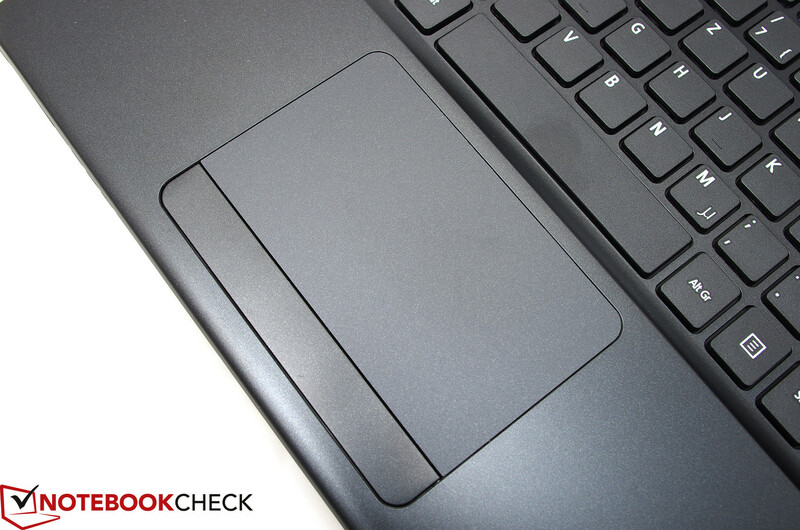 The Acer Aspire E1-572 proves this point: during idle, the palm rest stayed at a comfortable 30 °C. Near the fan on the left side towards the back, we measured a surface temperature of 31.5 °C. The picture during load is not much different, as the palm rest reaches a maximum of 35 °C in the middle. 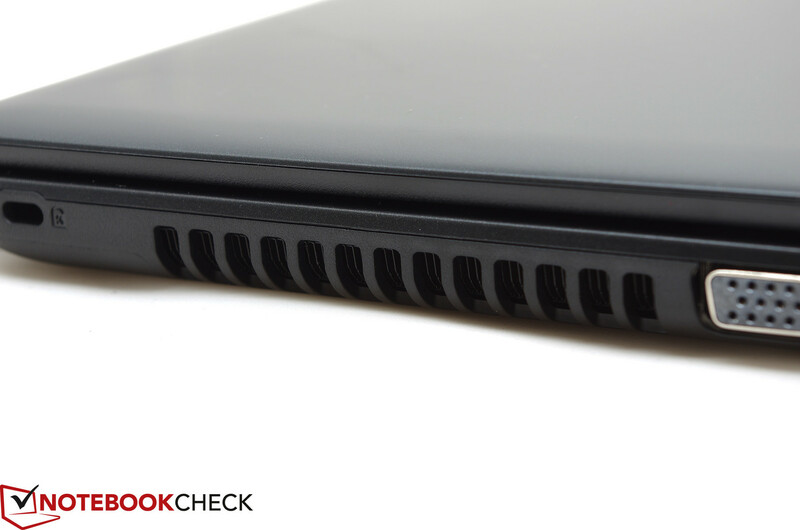 The bottom of Aspire E1-572 reached 33 °C in the same area and remains even cooler. Near the fan, the temperature topped out at an identical 33 °C, which is actually very good. (+) The maximum temperature on the upper side is 35.5 °C / 96 F, compared to the average of 33.9 °C / 93 F, ranging from 21.2 to 62.5 °C for the class Office. (+) In idle usage, the average temperature for the upper side is 29.6 °C / 85 F, compared to the device average of 29.4 °C / 85 F.
(-) The average temperature of the palmrest area of similar devices was 28.2 °C / 82.8 F (-7.2 °C / -12.9 F). 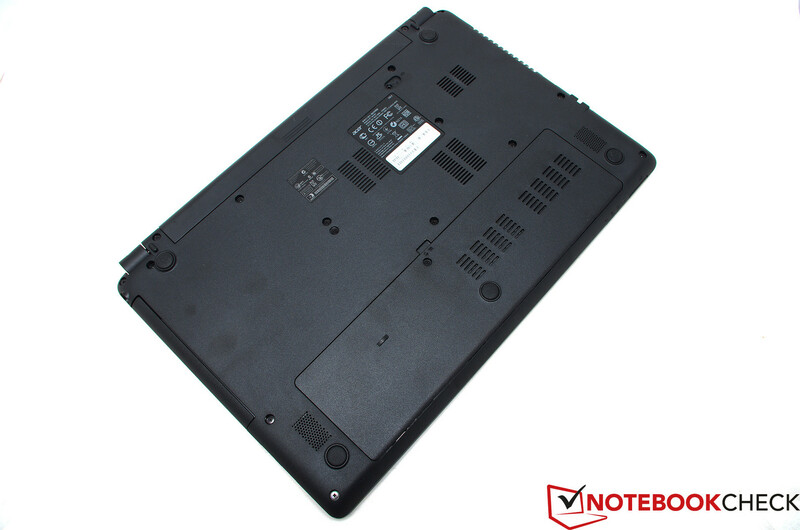 Since the chassis is the same one Acer uses for the Aspire E1-572G, the speakers are identical and therefore lack both highs and lows as well. We measured a power consumption of 5.6 to 9.2 watts during idle - similar to the more powerful G-model, which consumes between 6.2 and 10.6 watts. 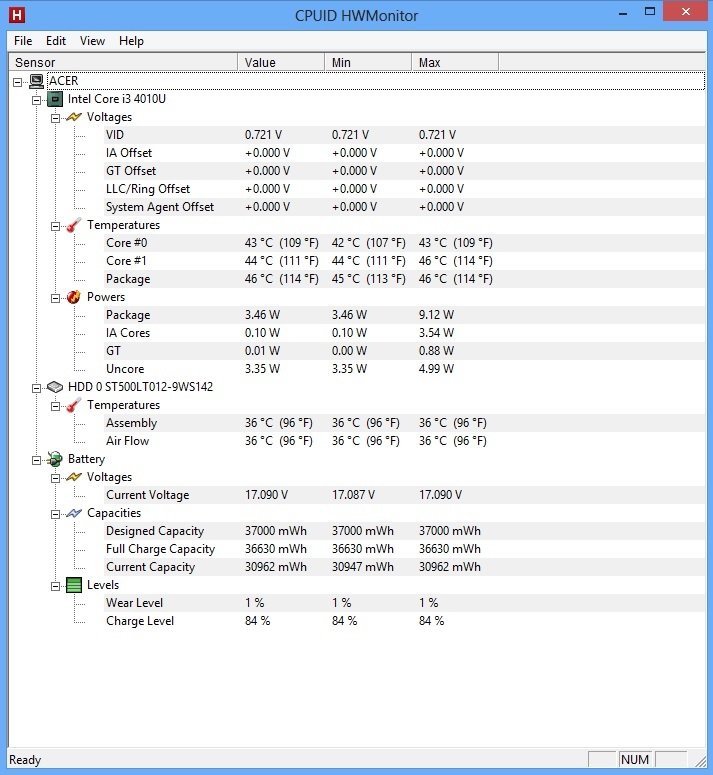 During the stress test with Furmark and Prime95, the differences between the two models become apparent, as the Aspire E1-572G with dedicated AMD Radeon HD 8750 now requires 50.7 watts. 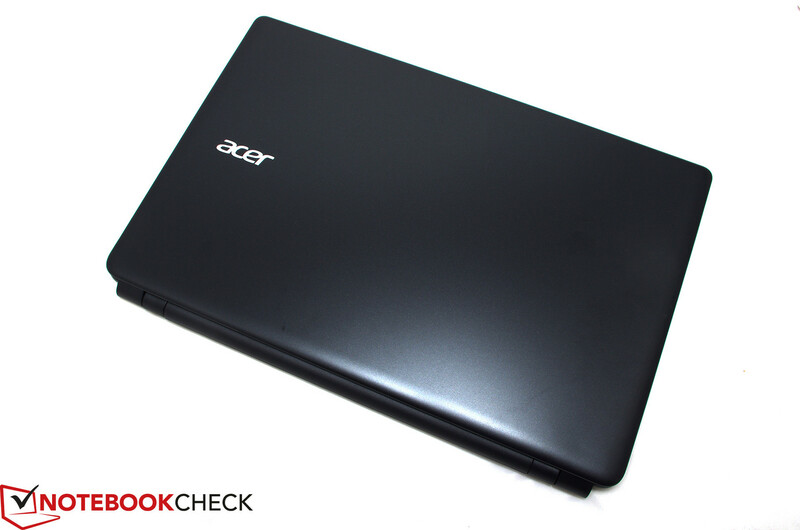 Our review notebook Acer Aspire E1-572 only needs 26 watts in this scenario. 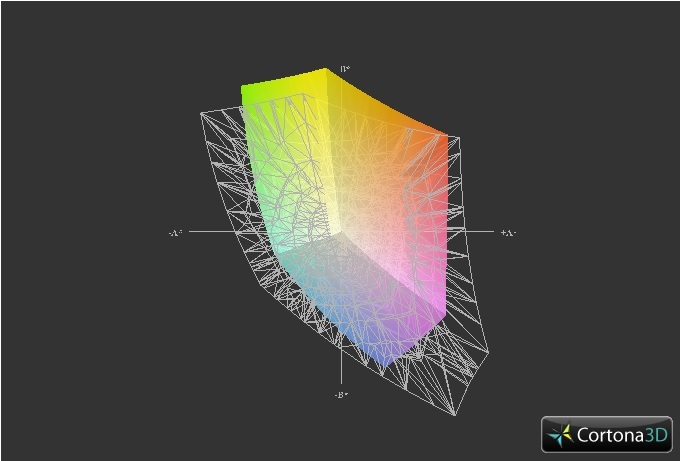 During the simulated gaming test portion of the 3D Mark 06 benchmark test, the notebook consumed a very low 24.2 watts. When only the CPU is tasked, the E1-572 requires even less - we measured 19.6 watts. 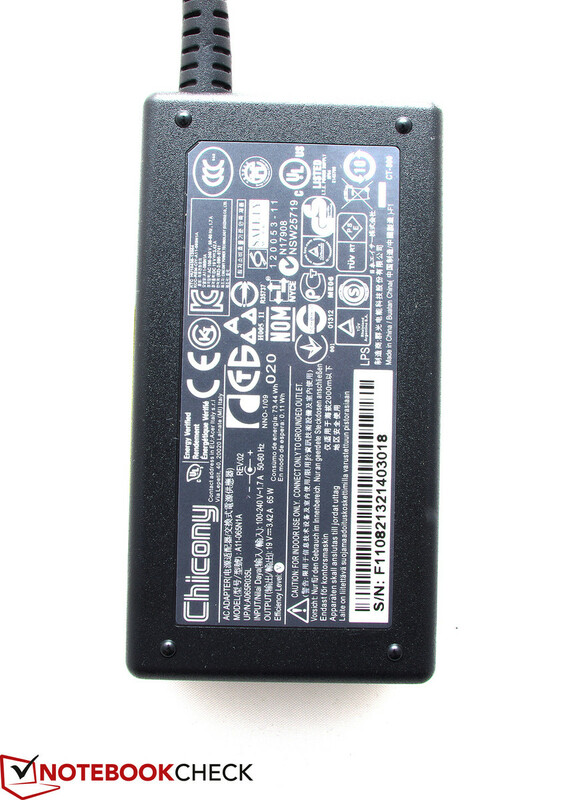 The Acer Aspire E1-572 ships with a 37 Wh battery, which lasts about 6 hours and 22 minutes during idle with the brightness turned all the way down and WLAN deactivated. We couldn't perform our usual WLAN test, since our review notebook had a defective wireless card. We decided to use the Ethernet port instead, which means that the test results are not going completely accurate. While browsing the web using an automated script, the E1-572 kept running for 3 hours 55 minutes. Watching DVDs is possible for about 2 hours 48 minutes, playing games for about 1 hours and 31 minutes. 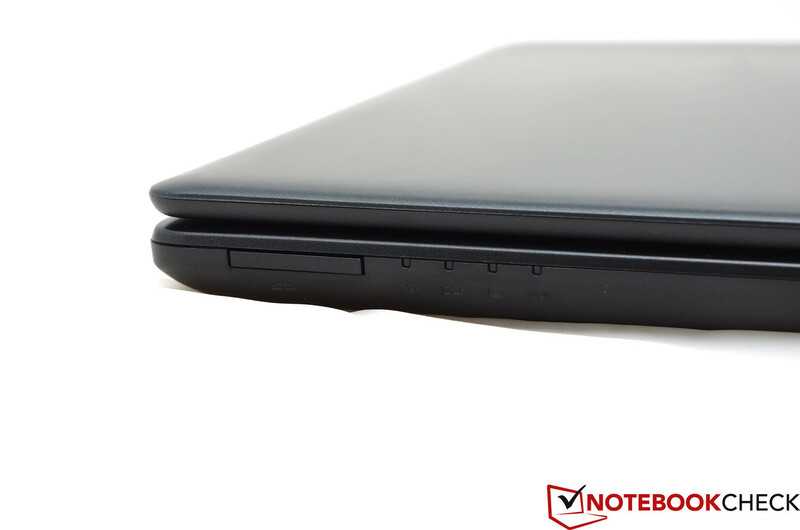 An inexpensive, mobile, and quite decent business notebook. 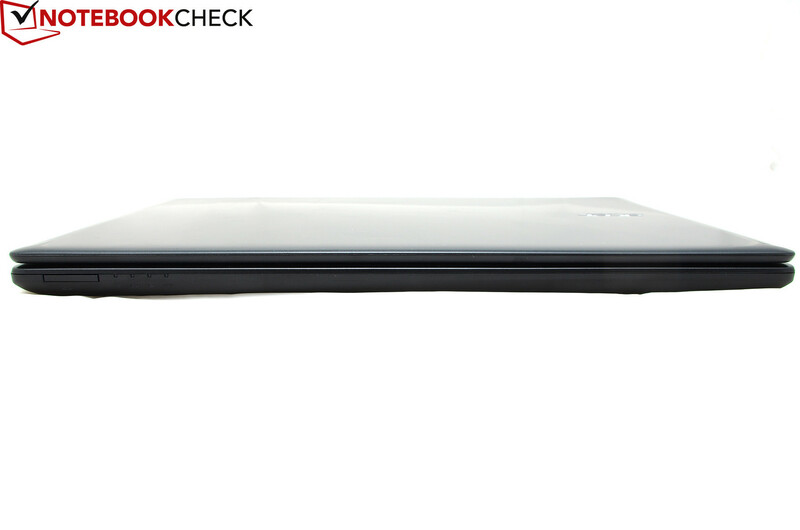 The Acer Aspire E1-572 is a slim and light business notebook with adequate "office" performance. The system is speedy enough to handle everyday tasks and also handles the playback of Full-HD material without any issues. The integrated GPU is sufficient for older and less demanding games. We really like the matte Full-HD display panel, which is a positive surprise - despite the lower brightness and contrast - considering the price point of around 400 Euro (~$540). The very slim chassis and low weight make the Acer Aspire E1-572 a good system for mobile tasks and office-type duties. Users requiring better performance and those wanting to use their notebook to play games more frequently should probably take a look at the Acer Aspire E1-572G instead. The fan exhaust is on the left side. A light and slim, but not overly sturdy chassis. The logo on the lid. The matte surfaces are not prone to fingerprints. The USB 3.0 port is on the left side. The power adapter provides 65 watts, which is more than enough. The dedicated number pad is close to the main keyboard area. Two USB 2.0 ports on the right side - in addition to the DVD optical drive. The back only houses the battery. The front is home to a SD card reader. 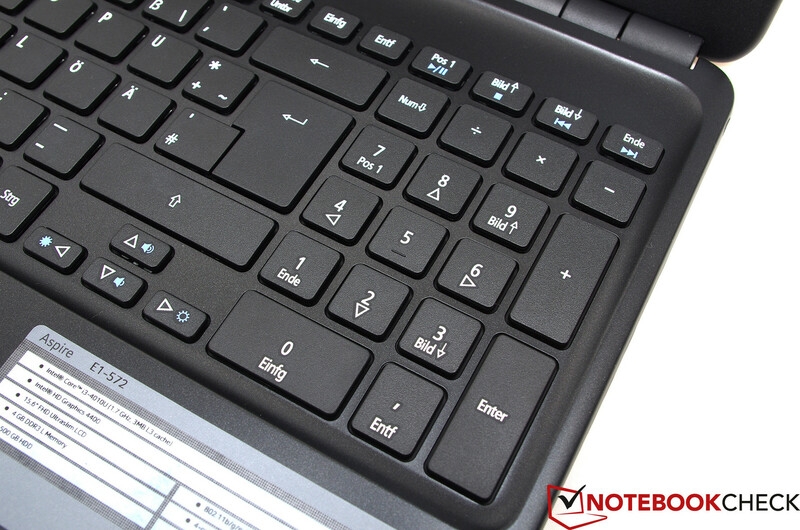 The keyboard has a clean layout and is easy to use. The chiclet-design is comfortable and quiet. The touchpad is not very sensitive but works reasonably well. The maintenance cover allows access to the hardware. The very slim and light chassis. The Full-HD display is a nice addition in this price range. A SSD would increase performance - although the price would go up as well. An inexpensive business notebook with a matte Full-HD panel - other manufacturers should take heed.